Teaching shapes to our kiddos can be a lot of fun. We like to use a lot of manipulatives when it comes to anything math related. We also love using craft sticks, so it was only natural to make craft stick shapes! The best part? 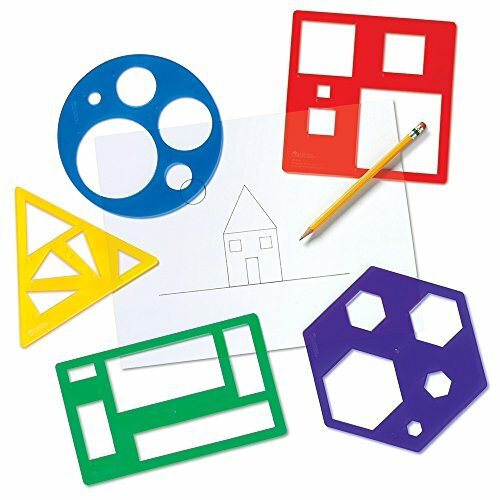 This craft stick shapes learning activity can be used over and over! Score! Start off by cutting geometric shapes out of the foam, making them around 2-3 inches in size. These are the colored shapes I chose: yellow triangle, red square, blue triangle, orange pentagon, green hexagon, purple octagon. Now you will use the same color sticks to match the same color shape. Count out the same number of sticks as the number of sides the shape has that it matches. So, you need 3 yellow sticks for the yellow triangle, 4 red sticks for the red square, 3 blue sticks for the blue rectangle (cut 1 in half), 5 orange sticks for the orange pentagon, 6 green sticks for the green hexagon, and 8 purple sticks for the purple octagon. On each stick write the shape name it goes with and a numeral at the end of the stick for how many sides the shape has. Example: the yellow sticks will all say triangle written across them and a numeral 3 at the end. Repeat this example on all the sticks but use each coordinating shape name and number of sides. Now you have a fun learning game for kids. They have to lay the sticks in the shape that is written on them and find the coordinating foam shape to lay in the middle of it. 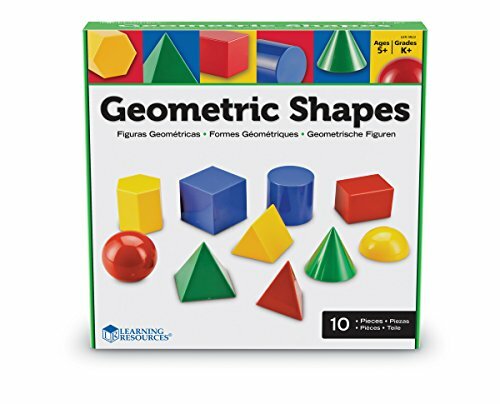 Great way to have kids play and learn shapes at the same time! If your kids are like mine, once they learn all they shapes, they’ll want to draw them… a lot! Use these fun geometry templates from Learning Resources to help them draw them correctly. 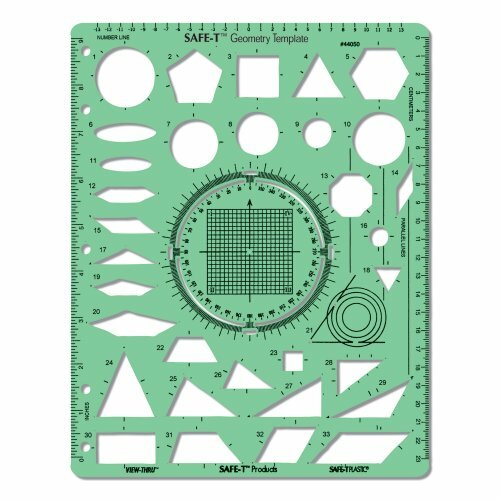 Older kids will appreciate the SAFE-T Geometry Template for all of their math assignments. Another great game to play with shapes is Hide N Seek Shapes. 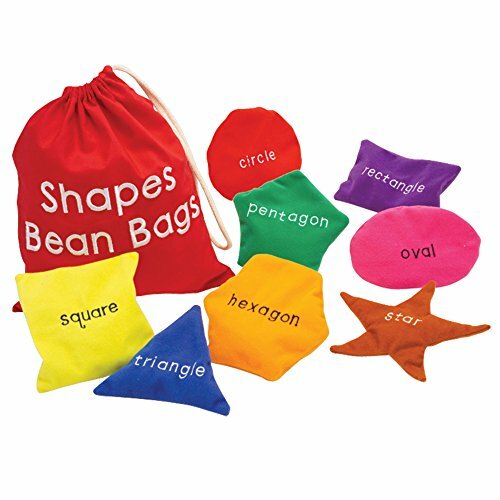 The Educational Insights Shapes Beanbags are ideal for little kiddos, while the Learning Resources Large Geometric Shapes are ideal for older kiddos. Simply hide the shapes, then set the timer and encourage them to find them and bring them back! You can either call out shapes or let them find them all at once. Either way, have them name the shape when the bring it to you. Be sure to check out some of our other craft stick projects!